We aren’t quite done with Christmas around here, we’ve got another round on Monday. While our small family has opened big gifts, we’ve set a few aside for Mr. Ink’s extended family celebration. I decided to add to that with two knit dishcloths. Mr. Ink uses these all the time, and it’s some of the very few things he appreciates me knitting for him. So, I knit two more to add to his collection. 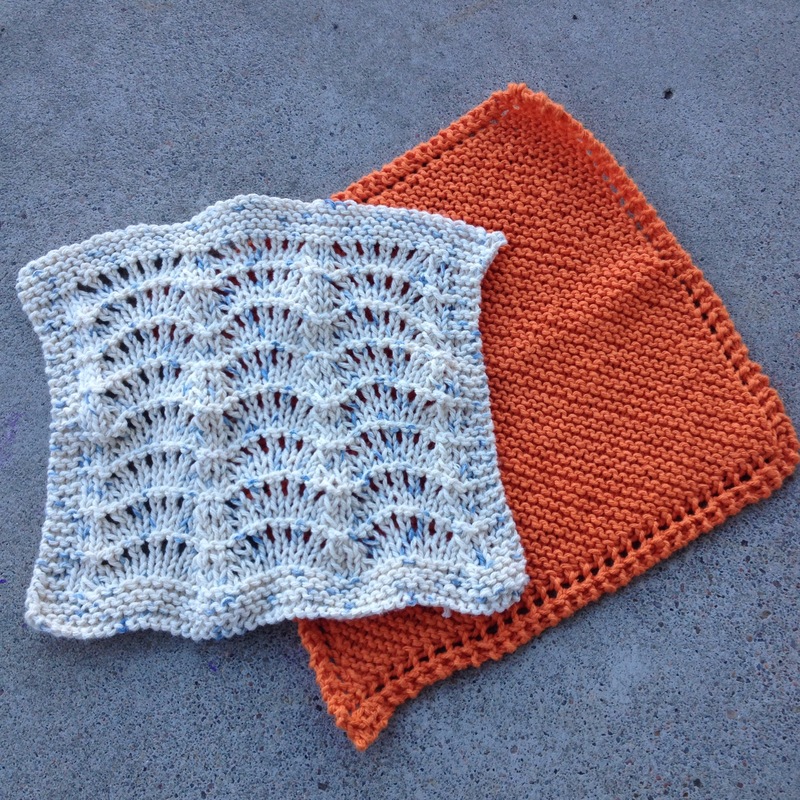 One plain orange increase/decrease cloth and one with a bit of patterning for my sanity. After I finished these last evening, I didn’t have an overwhelming urge to knit, so I got some spinning done instead. Today is a day full of cooking and baking, so doubtful I’ll get much crafty stuff done today as well. However, I always find I appreciate quiet days of cooking and baking and podcast listening, so it’s still a win.